ROY ACUFF - A LEGEND IN HIS OWN TIME. 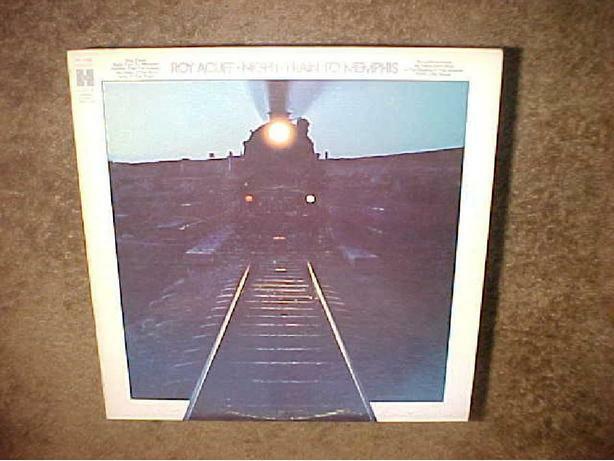 THIS VINYL LP ALBUM, NIGHT TRAIN TO MEMPHIS, WAS RELEASED IN 1970 BY COLUMBIA ON THE HARMONY LABEL. ITS NUMBER IS MS 11403. SOME OF THE FEATURED SONGS ARE NIGHT TRAIN TO MEMPHIS, TEN LITTLE NUMBERS AND PRETTY LITTLE WIDOW. BOTH THE RECORD AND THE SLEEVE ARE IN GOOD CONDITION.